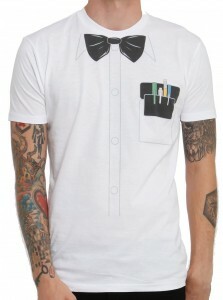 Your pants or skirt may not be falling down, but who can resist the look of suspenders and a bow tie? 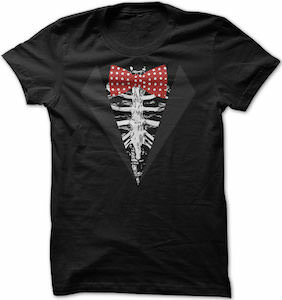 Class up any outfit in a fun way. This white scoop neck t-shirt has graphics on both the front and the back. The front shows the black suspenders that follows from the bottom over the shoulders and down the back in a crisscross fashion. 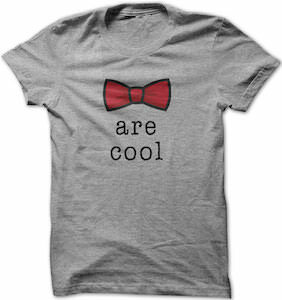 The front also has a simple red bow tie made of two triangles. 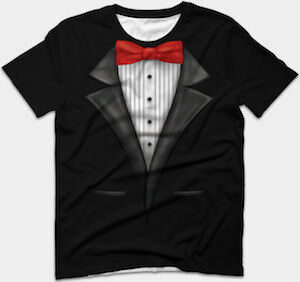 This shirt comes in a slim fit, one size fits most. 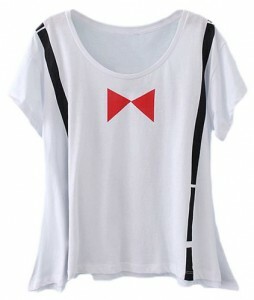 Instead of buying 3 separate pieces, get the Suspender and Bow Tie T-Shirt.